For years, businesses have set up shop on Facebook for free, gaining unfettered access to its hoards (one billion probably qualifies as many hoards) of users. Since going public and watching the company’s stock prices go far below what was expected, those who rule at Facebook have made it harder and harder for businesses to successfully reach their audience on the social media platform without paying for it. It used to be that you’d start a page, gather fans (now “likes”), and when you posted something on the page, your fans would see the post if they were online around the time you posted it. Later, Facebook decided IT knows best what people want to see on their own news feeds. After that change, when your fans logged in and went to their news feeds, they MIGHT see what you posted. This potentially reduced the reach the posts on your pages would have, but in the end it was still a system that worked well enough and could be optionally supplemented with paid Facebook advertising. Recently, Facebook made changes to the algorithm, called “EdgeRank”, that it uses to decide what posts are shown on your fans’ news feeds. These changes may have gone too far for some page owners. The algorithm takes a number of factors into account to decide who sees your posts. The recent EdgeRank change, which supposedly happened on September 20 but has been said to have started as early as the end of August, was reportedly made to “de-clutter” news feeds. What it really did was make room for more sponsored posts. After this “de-cluttering” change happened, page owners found that the reach of their posts was cut anywhere from 40 to 70-percent. With this change and the addition of sponsored posts, Facebook is essentially saying that we have to pay to reach a higher percentage of people who opted in to receive our information by clicking “like”. In fact, we have to pay to reach the percentage that we reached this summer! 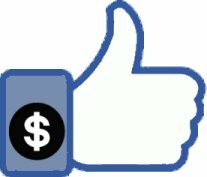 Pay the piper: Fortunately, Facebook advertising is not terribly expensive, and can be worked into the budget of all but the smallest businesses. Either use paid banner ads to boost your number of “likes” or use the money to purchase sponsored posts for your most important information. Squeeze out what you can: Take a look at what you’re posting, when you’re posting it, and who is being targeted. Make sure you’re posting interesting materials with as many bright pictures and/or videos. Also, look at your Facebook Insights to ensure that you’re posting at the best time of day. Finally, use Facebook’s targeting tools to target your key audiences with the right posts. The more that individuals interact with your page, the higher the chance will be that they’ll see your posts in the future. In the end, you’ll still have to get used to the idea that your reach numbers are going to be lower than they used to be. Look for alternatives: Perhaps Facebook isn’t your cup of tea anymore. It’s not sensible to completely abandon it, since it’s by far the largest social media outlet, but maybe for your business it would be a good idea to expend some energy on Pinterest, Twitter, or even LinkedIn. What it comes down to is that going forward a successful Facebook campaign will almost be required to include an advertising budget in addition to the man hours it takes to manage it.